Love to cook? How about enhancing that talent by taking up TESDA baking and pastry course this summer vacation. This short term vocational course is now being offered in different accredited training centers and one of them might be offering a free study program through their scholarship integration with the local government. Go ahead and make that inquiry now while seats are still on the line with this year's 2015 possible offer. 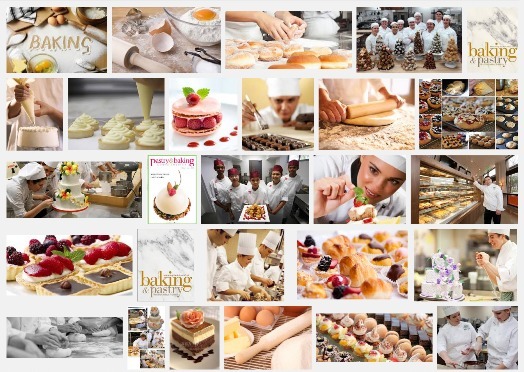 Know outright if any of the list of duly accredited short term vocational training centers and schools in Metro Manila below offer free baking and pastry course to study this summer vacation. Call the trade school / TESDA certified schools near your area below using their respective hotline telephone contact numbers. You can visit here - https://www.mypilipinas.com/tesda-courses.html for other types of TESDA courses. Asian College of Science and Technology Foundatdion Inc.
1955 C.M. Recto Ave., cor. Morayta Ave.
8155 3rd flr., Adrenar Bldg. 3rd 4th and 5th Floor Framar Bldg. Gateways Institute of Science & Technology Inc.
M.H. del Pilar St. cor. Caruncho Ave.
No. 23 Dr. Pilapil St.
Shoe Ave. cor Chanyungco St.
Montessori Professional College - Lagro Branch Inc.
Lucky to find a nice sample video where you can see actual workshop of TESDA students taking up baking and pastry training. Different professionally made products were also featured as part of the curriculum / syllabus and projects of students as well as their respective cooking and baking tools to learn how to use their skills in baking and making a good pastry product or recipe / food. You might want to find out about other related trainings here - TESDA commercial cooking course.